This week, our pilgrim in search of poetry is Emily, who writes at The Bookshelf of Emily J.
I love cultural history. I just finished The Warmth of Other Suns about the great migration of African Americans from the south to other parts of the country. I learned so much and realized how much more we have left to do in terms of racial equality and acceptance. I would bring Blonde by Joyce Carol Oates, East of Eden by John Steinbeck, Angle of Repose by Wallace Stegner, The Age of Innocence by Edith Wharton, and A Tree Grows in Brooklyn by Betty Smith. Oh wow. Maybe five books from Sophie Kinsella’s Shopaholic series because they always make me laugh. My future and where academia will take me. I also get worried about issues with my kids. Sometimes nerves keep me up the day before a big presentation or a first day of teaching. I love William Wordsworth and William Blake. I had the opportunity to take a class on British lit as an undergrad, which included poetry, from Leslie Norris, a famed Welsh poet himself. Well, for a while there I was stumped. Who to recommend? Elizabeth Barrett Browning (whose lifetime overlapped with Wordsworth’s, and whose poetry took on social issues of the day)? Emily’s favored Joyce Carol Oates, who is not only a prolific novelist, but also a poet? Langston Hughes (a contemporary of Steinbeck’s, and of course one of the great American poets)? And then I watched Lemonade, the Beyonce visual album that came out this past weekend. The whole piece is utterly absorbing, but I found the poetry between songs most arresting of all. The poet is Warsan Shire, a British poet (she was born in Kenya and her parents are Somali) who earned fame with her 2011 short collection Teaching My Mother How to Give Birth. In late 2015 she was profiled in the New Yorker; Alexis Okeowo wrote of her first collection, “It’s a first-generation woman always looking backward and forward at the same time, acknowledging that to move through life without being haunted by the past lives of your forebears is impossible.” You can read a bit more about Warsan Shire here. Her poem “Home” was quoted in the New York Times, and by Benedict Cumberbatch in his impassioned plea for aid to refugees after the curtain call for Hamlet (I saw the NT live production in the movie theater). You can read the poem here. I think, given Emily’s interest in social issues and the movement of people and cultural history (Steinbeck, The Warmth of Other Suns) that Ms. Shire’s work, which deals with immigration, diaspora, family history, belonging, violence, and womanhood, will be appealing, and still a change of pace. While you can find a few of her poems online—they tend to be widely shared—you should be able to find Teaching My Mother How to Give Birth in your library or in bookstores, and look out for her first full-length collection to appear late this year. P.S. For those nerves, I recommend Hazel Hall’s “Before Quiet.” And if you’re looking for even more poetry of social engagement, you might want to check out the Split This Rock festival. Ah! I wrote about Warsan today too! 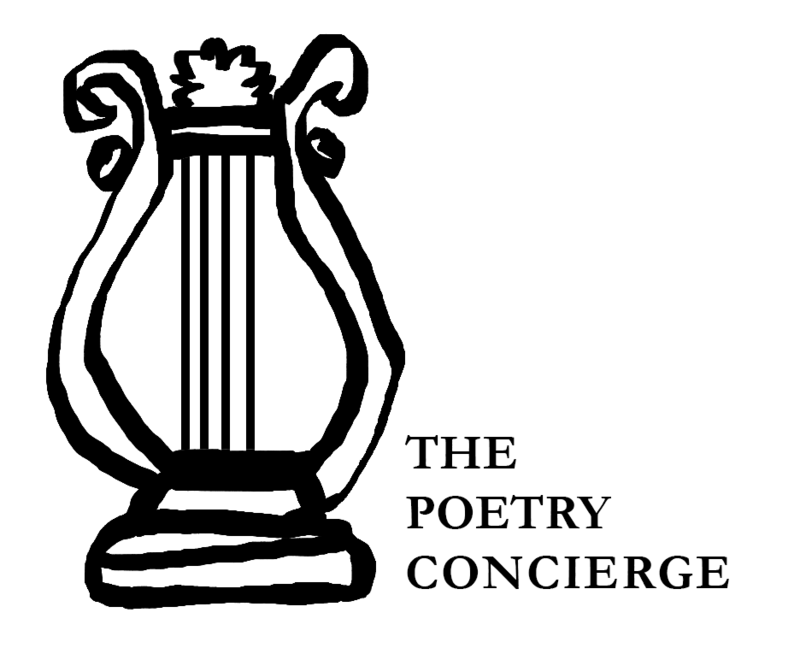 Also, I love this Poetry Concierge concept so much. Wow, Warsan Shire’s ‘Home’ is painful. But I love it. I love it! I had not heard of Warsan Shire but now I have and I can’t wait to fall in love with her poetry. Thank you! THANK YOU! You are so very welcome! I hope it turns out to be a good pick for you! It IS awesome. A good end to National Poetry Month!